B&W (241/365 v2.0) – Annoyingly Boring? Getting pretty clever here! 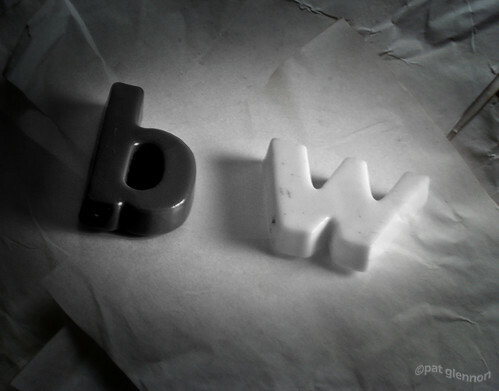 Nice shot–I really like how b is more shadowed and w is in the light. Very nicely done. You could recycle this picture as M&9. .-= Rick Astley´s last blog ..Adidas Saturday Night Lights =-. Pat, there’s a photo of a pink crayon on Boston.com at the moment. I saw it and immediately knew it was yours (and I took a screen shot in case you miss it). It is great to see you are still taking photos. Hope all is well!